Clements Wimsatt Architects is a full-service architecture firm based in Nashville, TN. Our company believes in high collaboration, community involvement, respectful relationships, and excellent design. We pride ourselves in offering a great design service, getting things done on time above industry standard. From design to drawings our firm is dedicated to the highest quality service possible at an affordable price. You need a design team who knows the process, knows how to do things right and provides design excellence with your needs first. Female owned home building and general construction company. 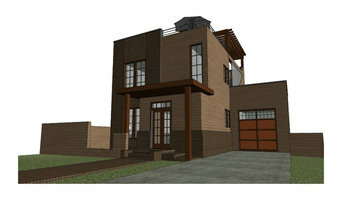 CDP (Creative Design Professionals) Architecture, LLC is a full-service architecture firm located in Nashville, TN. We provide creative, client-centered design solutions for a wide variety of project types ranging from small residential remodels to large scale commercial new construction projects. We understand that good design is tangible and adds value to any size project. Creativity matters! About the Architect... After graduating from the University of Kentucky in 1994, Chad Polk moved closer to his family in western Kentucky to pursue his professional architectural career in Nashville, Tennessee. While working for three of the leading design firms in Nashville over the course of 13 years, Chad had the opportunity to work on several notable civic projects, churches, and a variety of commercial projects. With the experience gained under the leadership of the previous firms’ principals, all of whom were Fellows in the professional AIA organization, Chad decided to start his own firm, CDP Architecture, in 2007. Since then the firm has been engaged in a wide variety of project types with an emphasis on client-centered service and developing well-designed projects that meet clients’ needs and budgets. Design matters. Chad Polk is also a former instructor at O'More College of Design for 3D Perspective Drawing and a frequent design juror for O'More as well. We do residential projects for a wide range of clients and budgets. 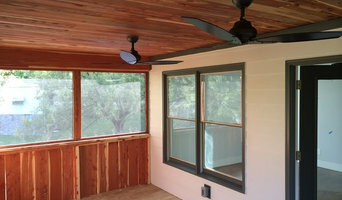 Our residential work includes completed designs in new construction, restoration, renovation, remodeling, and additions. Distinctive | Enduring | Efficient We are an integrated design/build firm with a full-service custom woodworking shop to execute traditional to contemporary projects from conception to completion. As one of the only passive solar builders in the mid south, we create homes at the vanguard of energy efficiency worldwide. Ancient architectural principles come together with modern technology and superior craftsmanship to create built environments that are comfortable, livable, and frugal--a typical home will heat and cool for under $400/year without any compromises for comfort. White Pines Building Group, LLC (WPBG) is a Real Estate Investment firm that acquires residential real estate for development, rehabilitation, rezoning, re-positioning and resale to the marketplace. The Managing Partners of WPBG have over 20 years experience in the Middle Tennessee market and over 10 years in the Palm Beach Florida area. The properties WPBG transforms are in markets that are known for their value, desirability to live, general community, and employment and growth trends. 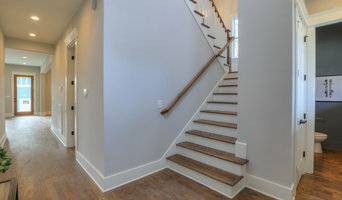 We specialize in high-quality custom houses, additions, remodeling and restorations with attention to details in visually pleasing proportional design and proper construction techniques. We provide creative, client-centered design solutions for a wide variety of project types ranging from small residential remodels to large scale commercial new construction projects. John Hays Construction specializes in residential and small commercial projects that have the extra details that make them unique. We enjoy working on projects that are "out of the box". John graduated from Auburn University’s School of Architecture with a bachelor’s degree in Building Sciences. He immediately began working for Turner Construction on some very exciting projects, Vanderbilt University Medical Research Buildings, St. Thomas Hospital, The Tennessee Aquarium, St Jude’s Hospital and many others. However, what he really wanted to do was residential construction. In 1994, John forged out on his own in a career in residential construction, and hasn't looked back. We have done many diverse projects, small kitchen remodels, beautiful additions, the first new urbanism project in Nashville, luxurious houses, critical lot projects and even commercial projects. The subcontractors and suppliers that work with us are all very experienced in constructing projects that require the level of expertise that your project demands. We do not use the lowest bidders, nor the most expensive. Instead, we have assembled a trustworthy team that is extremely skilled in their individual crafts and very proud of their finished work. The difference is that our team of subcontractors and suppliers work together on projects on a regular basis. This creates a cohesiveness that is invaluable. If we build your project, be assured that you will have an incredible finished product. Our team has almost 50 years of home building and design experience and is committed to using the latest technologies and old-fashion Southern hospitality to help you every step of the way. Brad Norris is The architect for a unique one of a kind architecture based on timeless principles expressed in new, refreshing and inspiring ways. Brad Norris began his early career as an architect in Greece and came to Nashville almost 30 years ago specializing in high-end custom residential, retail, educational, multifamily and commercial office spaces. He envisioned more and started his own company, Norris Architecture, in 2003. His expansive portfolio includes renovations, custom residential, urban, and Neo traditional developments throughout the southeast. His diverse portfolio delivers on highly complex projects, while ensuring the same quality permeates any size prospectus. Organicus has been designing beautiful, functional, spaces for Nashville for 20+ years. It takes a holistic approach to design; integrating interior, exterior & landscaping for the complete package. Ryan Thewes Architect is a fully licensed architectural firm based out of Nashville, Tennessee specializing in modern design and energy efficient construction. Ryan's background in Organic Architecture comes from working for Don Erickson and Robert Green, both former apprentices to Frank Lloyd Wright as well as working for Bart Prince, a former Bruce Goff apprentice. Ryan's designs fuse these organic principles with modern architecture and green building practices to create a unique style that continues to gain national attention. 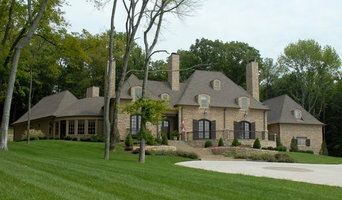 Mark Lynn is a full service architectural and design company located in Nashville, TN. Completing residential work in Nashville and the Williamson areas.